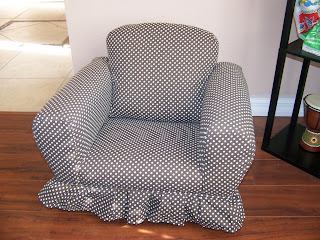 This is an adorable rocker that we picked up for "My Love". It will go perfectly with the bedding and accessories for her nursery. I don't know if you can make it out but it's chocolate brown and white dots,luuuuv it!